The Burlington Claremont Regent 2 Tap Hole Bridge Curved Spout Basin Mixer (230mm centers) with Invisible Overflow, create the perfect period bathroom with our range of quality chrome plated traditional taps. Comes with a 10 year guarantee. 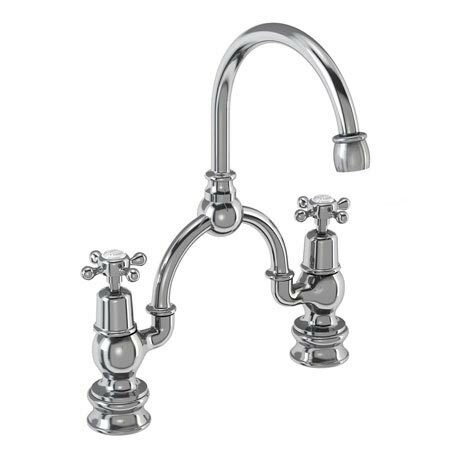 All claremont taps have a four spindle tap head with a ceramic indice in the centre.